Why do you have a passion for this, is there a personal tie? I owe everything that I have ever accomplished to the martial arts. The training I received as a kid provided me with the foundation to succeed in whatever career path that I chose. 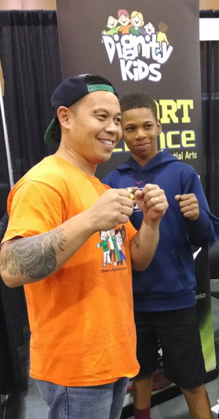 I believe that martial arts is one of the most powerful tools in youth development. Is there a particular way you would want to encourage readers to be involved? You can get involved by spreading the word on social media. Taking ownership for the well being of your community and taking action to make it better.